As April 15, the traditional tax deadline for most Americans to file their income tax returns, approaches this week, President Obama’s approval rating is at the same level as the percentage of Americans who don’t pay income taxes. A Real Clear Politics average of polls shows that President Obama’s approval rating and the percentage of Americans with no income tax liability are both at 47%. This is obviously a coincidence but it underscores both President Obama’s poor approval rating and the increasing rate at which Americans pay no income tax. 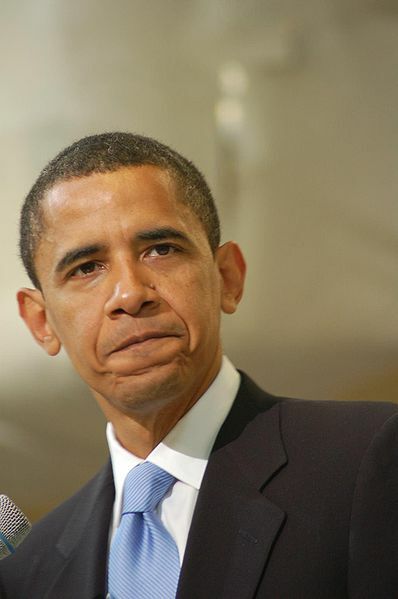 President Obama’s approval rating has been below the fifty percent mark since November 2009. Unpopular initiatives, such as the health care reform law, and an agonizingly slow recovery have combined to sap much of the president’s public support. Obama’s highest average rating was over 65% a few weeks after his inauguration in February 2009. The 47% number with respect to taxes is the percentage of people who got a refund of every dollar (or more) that was withheld from their paychecks to pay their 2009 taxes (the last year for which data is available). This is due to several factors such as the abundance of tax credits that allow taxpayers to reduce their tax liability as well as the recession that led to high unemployment rates and lower wages. Essentially, half the country is supporting the other half. The rate for 2008 taxes was 38%. It would be tempting to assume that President Obama is supported by the people who don’t pay taxes, but this isn’t true. Even though lower income voters favor Democrats, some of them do vote for Republicans. That voters at the bottom of the income scale favor Democrats is confirmed by national exit polls from the 2008 election, but much Democratic support comes from the wealthy as well. In fact, Democrats capture the majority of voters from both the upper and lower ends of the socioeconomic scale, leaving the middle class to Republicans. Data detailing political leanings of various income groups is somewhat hard to find since IRS forms do not ask political affiliation, but in addition to exit polls, the Center for Responsive Politics correlates campaign donations by zip code. This data confirms the exit poll data showing support for Democrats among both the extremely poor and the extremely wealthy. Nine of the top ten zip codes for campaign contributions support Democrats over Republicans. Thirty five of the top fifty zip codes supported Democrats. None of the top fifty zip codes for campaign contributions were in Georgia. Additionally, 59% of the millionaires in Congress are Democrats. Polling data from Georgia is slightly different that the national average. The only income data from exit polls that could be located that was specific to Georgia was from the 2006 gubernatorial election between Republican Sonny Perdue and Democrat Mark Taylor. Perdue won reelection in a landslide 57-38% victory. The poll by the National Election Pool shows the typical support for the Democrat among households earning less than $50,000 but there was no corresponding increase in support among upper income Georgians. Lower income voters likely assume that voting for Democrats will result in an uninterrupted flow of entitlements and transfer payments, but it is less clear why upper income voters support Democrats. A traditional plank of the Democratic platform has been class warfare, charging that the Republicans are the party of the rich. In truth, the Democrats are biting the hand that feeds them, since the wealthy typically lean left. It is possible that many wealthy Democrats are acting out of guilt for their wealth or believe that they can use their lobbyists and contacts to benefit from crony capitalism that has been prevalent in the Obama Administration. The Republican stronghold of support is the middle class. Many of these people vote their conscience on issues such as abortion or gun control. These “values voters” see some things as more important than financial handouts. Others are business owners who don’t have the power or inclination to lobby for special government favors or exemptions from laws that affect others. Still others feel that constitutional protections and a level playing field are beneficial to us all in the long run. Many Republicans are people who work hard for their money and don’t want to see large portions of it going to Washington in the form of taxes. In the end, the 47% figure underscores the differences that divide the United States. It is difficult to go forward when half of the country is more than willing to let the other half pay the increasingly staggering bills. It is also difficult to follow a president who said during the campaign, “There's not a liberal America and a conservative America - there's the United States of America,” but then proceeded to ignore the will of the people and govern from the extreme left.